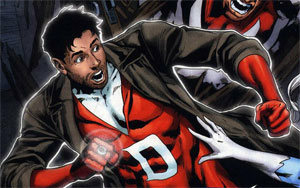 Last week, it was announced that Supernatural creator Eric Kripke is developing a TV adaptation of the DC Comics character Deadman for Fall 2012. While details about how the concept will come to television are at this point unknown, fans have already speculated on who they might like to see in the role. It didn’t take long for there to be organized campaigns and even “Twititions” calling for who should play the lead role of Boston Brand, even though a pilot won’t shoot until next year, if it shoots at all. We’d like to join in with those fans and save Kripke and Warner Bros. Television some time by making the perfect suggestion… someone that Kripke himself has worked with in the past: Matt Cohen. 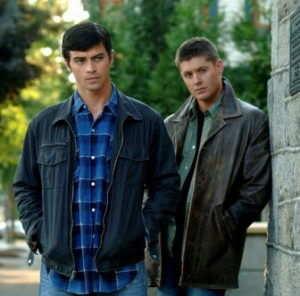 Cohen is best known for playing the younger version of Sam and Dean’s dad, John Winchester, in two past episodes of Supernatural. He’s also known for his ongoing role on South Of Nowhere and will soon be seen in the fourth season premiere of 90210. Despite only appearing in two episodes of Supernatural, he’s a frequent communicator with his fans who has appeared at many show conventions. The CW, Warner Bros., and DC Comics recently got past ten years of Smallville success, which can partly be credited to strong casting in the form of the series leads and supporting cast. (Being based on the Superman legend helped!) Supernatural has gone on for seven years, again thanks to fantastic casting. If they want to have a long-lasting concept like this again, they really need the right actor to anchor the cast. Matt Cohen might be the right [Dead]man for the job. Do you agree? Disagree? Post about Deadman TV on our forum or leave comments below!